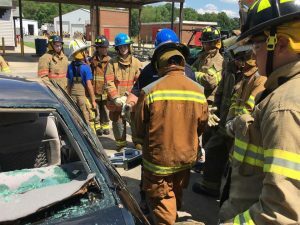 The Delaware State Fire School has developed camps to help introduce local youth into the world of the Fire and Emergency Services. Two camps have been developed for these kids to learn more about the opportunities available to them in the State of Delaware. 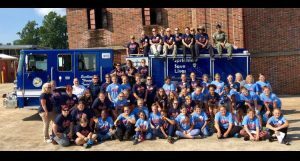 The Junior Fire Camp was developed to let kids ages 13 to 17, experience training and applications available to the Fire Service. 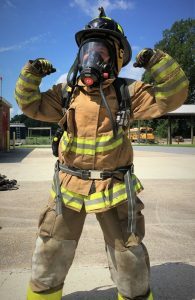 This camp is similar to others in the region, that allow campers who may not be eligible to join their local fire company, to experience some of the aspects of training that they could experience if they pursued becoming a firefighter. The first year, the camp was a three-day, all-day camp. 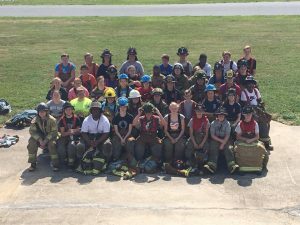 The campers learned skills essential to the fire service, how to work as a team, and gain new relationships in the fire service. Activities included Fire/Rescue boat rides, and a tour of a firehouse, learning about apparatus, local fire service history, and the day-to-day life at a fire station. On the last day, campers were able to have family members come and see them demonstrate skills that hey learn with a cookout. In June 2108, the camp will have a similar organization and will again be three days long. 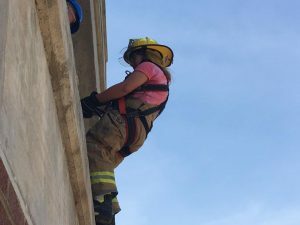 Camp Fury was first developed in Tucson, Arizona through a grant to help young women get exposed to careers in the fire service. This camp soon expanded over the years to include various areas of the emergency services including police and has developed into camps across the United States. 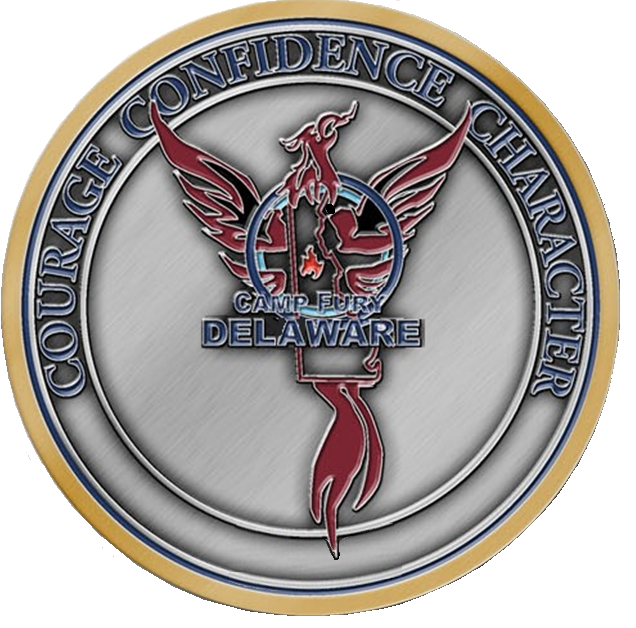 The Delaware State Fire School, working in conjunction with the original Camp Fury founders, has developed Camp Fury Delaware. The camp is open to young women ages 13-17 and is intended to help develop confidence in their abilities, encourage working as a team, and developing new relationships with girls having a similar interest. In it’s first year, the camp was a two-day, weekend day camp. 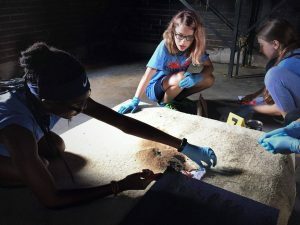 The campers were taught by all female instructors, teaching them and guiding them through hands-on skills sessions throughout the weekend. 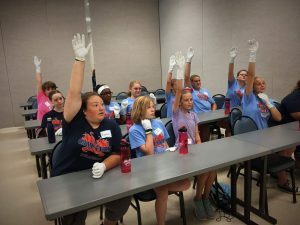 The campers also had an opportunity to speak with and learn from a panel of women leaders in the fire and emergency services, being able to see the opportunities available to them in the various areas of the emergency services. The camp ended with family being able to come in for a closing ceremony where the campers were recognized. 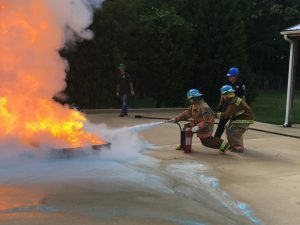 In 2018, the camp changed to it’s current format of a 3-Day AND 2-OVERNIGHT camp, to be held at the Fire School each year. In August 2019, the camp will be three days and two nights. More information will be coming about the additions to the camp! 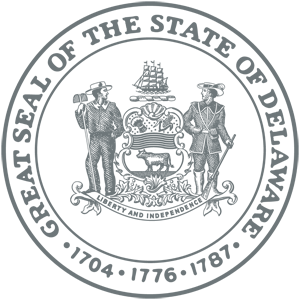 Camp Fury Application – Coming May 2019! The purpose of this seminar is to help continue the momentum of the Camp Fury Delaware moving forward to help encourage young women to pursue careers in the emergency services. The main focus of this seminar was maintaining healthy lifestyles as an emergency responder. This seminar held on February 9th, 2019, and was open to all emergency responders in the State and any families interested in attending Camp Fury. 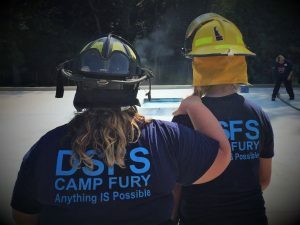 We encouraged anyone interested in contributing to Camp Fury 2019, and emergency responders to join us for this event. We had over 80 attendees come to hear our Q & A panel and keynote speaker, Dr. Sandra Gibney from St. Francis Hospital. The next Empowerment Day Seminar is not yet set for 2010.